ISIS's Last Stand Falls In Iraq, Prime Minister Says : The Two-Way After a three-and-a-half year fight, Haider al-Abadi announced Saturday Iraqi forces had retaken the group's final stronghold along the Syrian border. Thousands of Iraqi soldiers in Baghdad take part in a training exercise in 2015. On Saturday, the Iraqi prime minister announced its war on the Islamic State group was over, after more than three years of fighting. "Our heroic armed forces have now secured the entire length of the Iraq-Syria border," Abadi later tweeted. "We defeated Daesh through our unity and sacrifice for the nation. Long live Iraq and its people." Three-and-half years of fighting have taken a heavy toll on Iraq; about 3 million Iraqis remain displaced and reconstruction poses a massive challenge. The U.S.-backed Global Coalition, which is focused on the defeat of ISIS from multiple fronts, tweeted its good wishes to Iraq following the announcement. "The Coalition congratulate the people of Iraq on their significant victory against #Daesh. We stand by them as they set the conditions for a secure and prosperous #futureiraq." After ISIS swept into Iraq in the summer of 2014, it managed to overtake nearly a third of its territory, according to an Associated Press tally. But Iraqi forces, alongside the U.S.-led military coalition, battled to regain ground, capped by this summer's liberation of Mosul — Iraq's second largest city — and finally last month's recapture of Rawa, the final town under ISIS control. 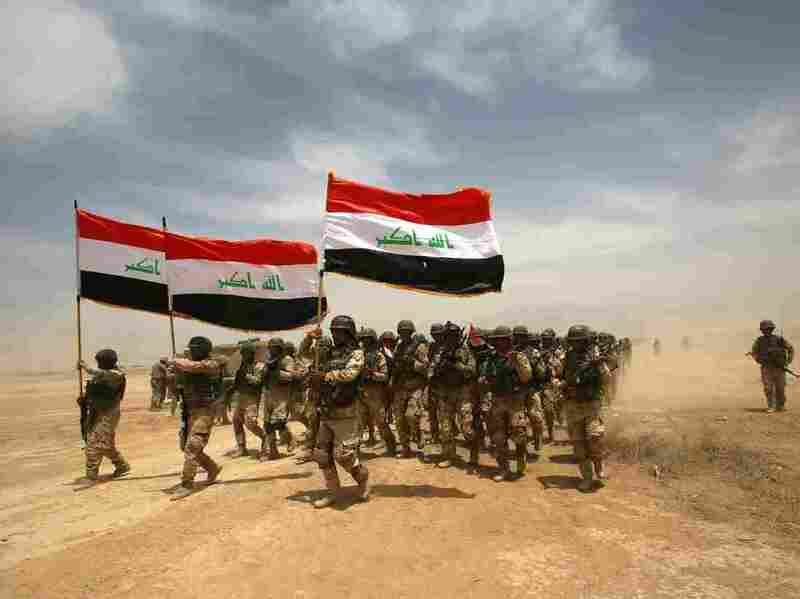 In the weeks that followed, Iraqi forces worked to remove smatterings from across its territory until the death knell for the group was sounded on Saturday. Yet despite the declaration of victory, vestiges of the group may prove difficult to eradicate as insurgents remain capable of launching attacks. And Islamic State leader Abu Bakr al-Baghdadi is believed to be living along the border with Syria and has remained defiant, exhorting his followers to keep up the fight, Reuters reports. Remnants of ISIS also remain a problem in Syria, even after U.S.-backed militia forces retook Raqqa, the group's de facto capital, in October. Now coalition forces in Iraq and Syria expect to be entering a new era of guerrilla warfare, Reuters says. Operation Inherent Resolve — the U.S.-led military operation to drive ISIS from Iraq and Syria tweeted Saturday, "In conjunction with partner forces, @CJTFOIR defeats ISIS in designated areas of Iraq and Syria and sets conditions for follow-on operations to increase regional stability." NPR's Tom Bowman reports the U.S. will continue to maintain a presence in the country. "The rough number of U.S. troops in Iraq is above 5,000," Bowman told our Two-Way blog. "I'm told the plan is not to totally withdraw U.S. troops, as we saw under Obama, but leave some presence for training etc. That decision will not be made until 2018 elections in Iraq." A political solution for both Iraq and Syria remains a vexing problem. As NPR's Greg Myre reported in September "while the military fight against ISIS may be moving to its final stages, the new political challenges in Iraq and Syria are just beginning."